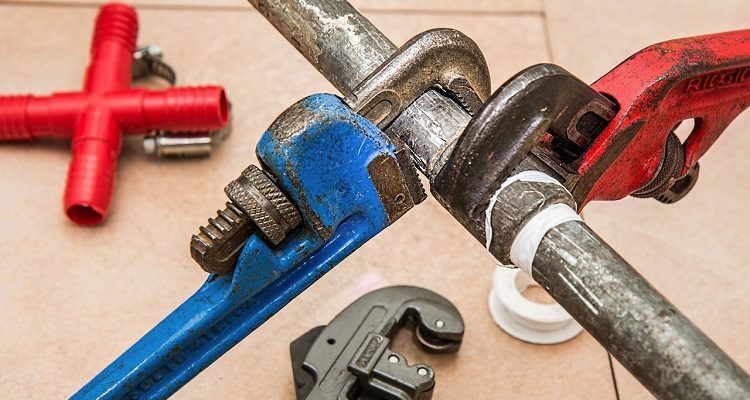 Home plumbing can have days when it wants to get on your nerves. However, taking the necessary precautions and performing proper maintenance is the secret to avoids such headaches and the cost that comes with doing routine plumbing repairs. Below are six home plumbing practices that will ensure your pipes are not backed up. Never assume the leaks in your pipes and faucets can turn into a nightmare if left unchecked. The damage can be substantial, resulting in quite costly plumbing repairs. As such, it is wise to have the pipes and faucets fixed and to check the crawl spaces, exterior walls, basements and garages and sections of the home that lack insulation. Such areas tend to leave the pipes at the mercies of the elements, and thus the pipping in these zones of the house is prone to cracking and leaking. Call a plumbing expert to help identify and fix the trouble areas. The plumber will also give you some tips on how to care for your home plumbing during the winter months. • Disconnect the garden hoses, draining them and covering with a hose bib. Also, cover the faucets with the appropriate cover to insulate them for the cold of winter. • Shut off the water supply to the irrigation systems and drain off all the water in the pipes. • Keep in mind that residential plumbers are your best bet if you need any assistance with the draining and insulating your home plumbing in readiness of the winter. You need to inspect the property to identify any exposed plumbing as you check the seals in the windows, doors, and vents to make sure they are tight. Fix up any loose seal using a bit of caulking. It will help in bolstering your efforts to keep the plumbing from freezing. Repair any gaps or cracks in the windows and doors so that they do not allow the freezing temperature in and lead to costly plumbing damages that need fixing. In as much as ensuring the seal around your home are tight, sealing off all the airflow in your house can lead to a mold and mildew problem. As such, the pipes should be adequately insulated to withstand the cold winter temperatures, especially the exposed plumbing in areas where there are vents. The insulation process is not that complicated nor is it costly. You can opt to wrap towels around the pipes and hold them in place with duct tape. Alternatively, you can use foam tubing. The plumbing near electrical sources should be covered with electrical heating tape. It will help the pipes retain enough heat to prevent and thaw the freezing temperatures. When winter comes knowing, it is easy to focus more on the outdoor plumbing and forget about the indoor plumbing. The pipes inside the house are also prone to freezing during this cold season. Things like leaving the cabinet doors open to that you expose the piping to the home’s heat can help avert plumbing problems. Since the indoor conditions are favorably warm that the outdoors, they will do a lot of good to the pipes. If you are to spend a few days away from home, then consider leaving the HVAC running with the interior thermostat set are around 55 degrees Fahrenheit. Also, leave the faucets dripping steadily when the outdoor conditions are below 30 degrees Fahrenheit. It will keep the pipes from freezing over and cracking, breaking or bursting. The recommendations of any experienced residential plumber include close monitoring and maintenance of your home plumbing. It should be a regular thing and doing this can save your money by preventing costly damages that need fixing. Part of the maintenance effort should include routine checks by an experienced plumber. For this, you should consider signing up for a plumbing maintenance program. The benefits of enlisting in such a program include knowing how to respond to different plumbing emergencies and ensure that the plumbing warranties are up-to-date. Overall, the home plumbing maintenance program will help you feel at ease with your home plumbing even during the winter season.